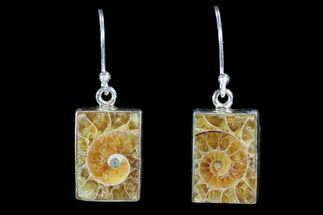 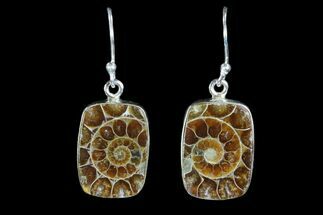 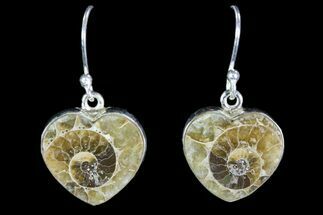 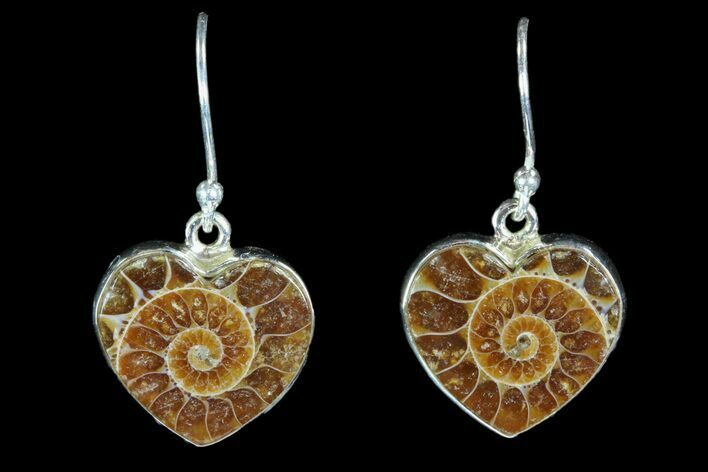 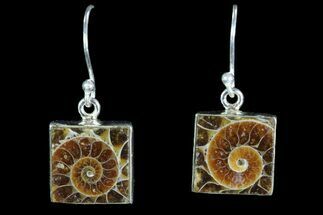 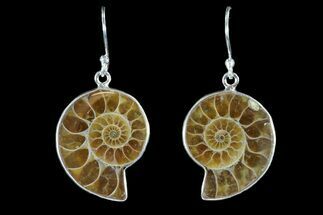 Here is a pair of sterling silver earrings made out of a 110 million year old cut and polished ammonite fossil. 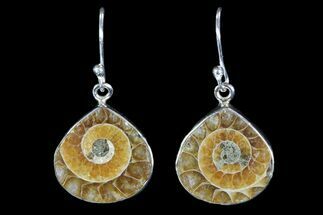 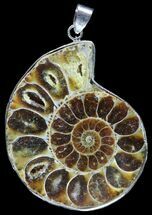 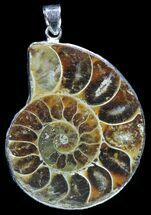 These ammonites are quarried in the Mahajanga Province province of Madagascar and lived at a time when dinosaurs ruled the earth. 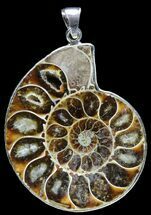 The polishing allows the stunning inner chambers to be seen which have been replaced by agate over millions of years.